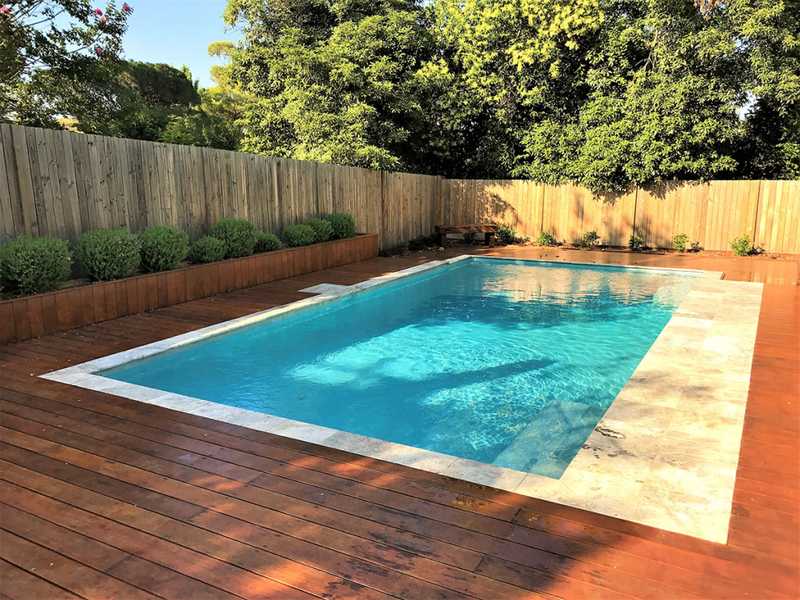 Brief: To build an upper level outdoor entertaining area which flows to the pool area to make it easily accessible. 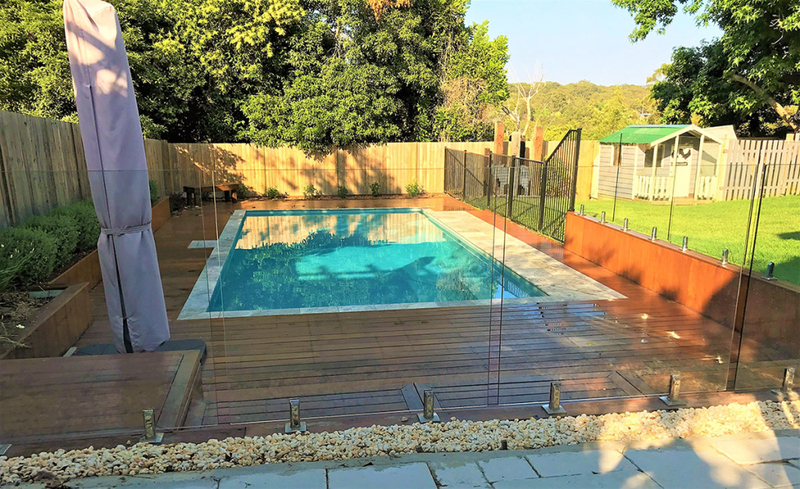 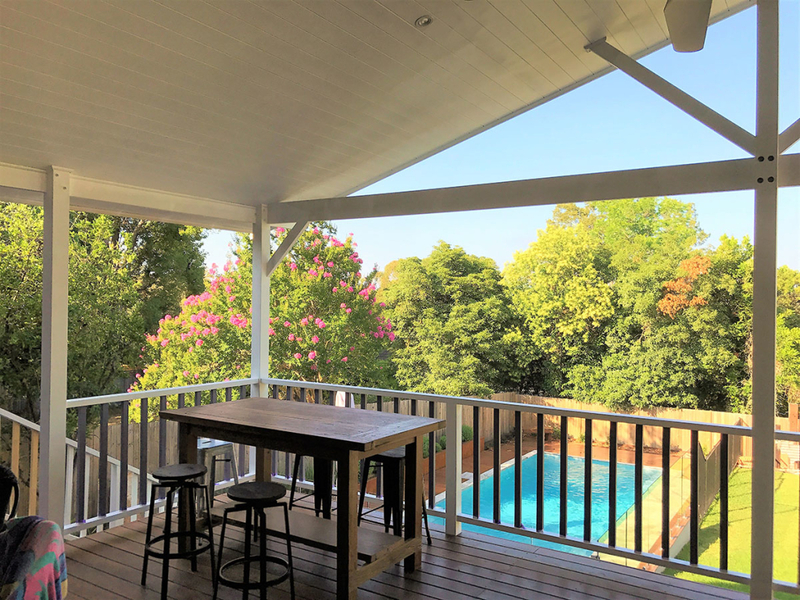 Materials: Spotted gum wide board 135mm decking on upper deck, merbau around pool area. 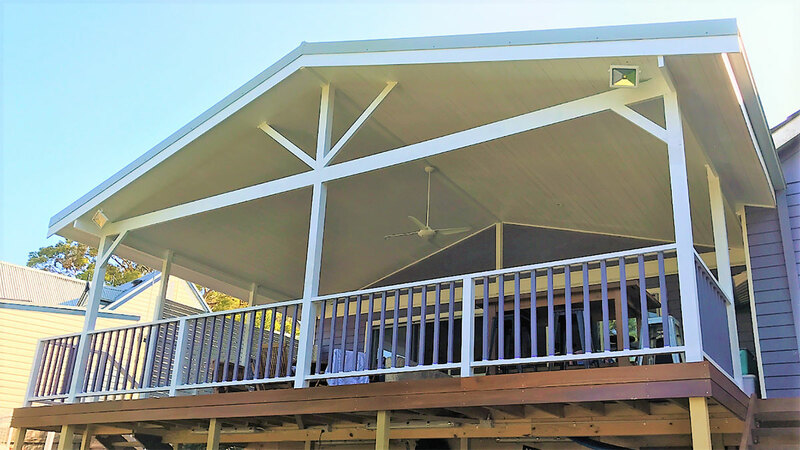 Pine lining board ceiling and colorbond roof.